Hate shopping? 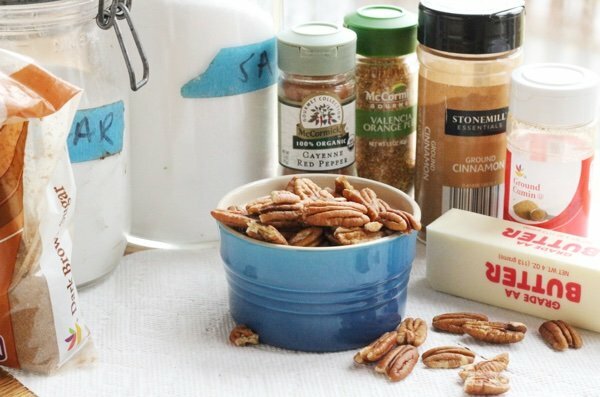 Make sweet and savory pecans instead of trying to fight your way to the register. I was in New York City over the Thanksgiving holiday and my children wanted to go shopping. Not only did I not want to go shopping, I was trying to steer them into an art museum. Since I am sensible, we decided to compromise and choose specific stores to go to and go to the museum. Alex wanted to go to the Nintendo store (and I thought this was going to be packed because it is right next to Rockefeller Center). We got there at 9:30 AM and there was a line ½ a block long! Ack! 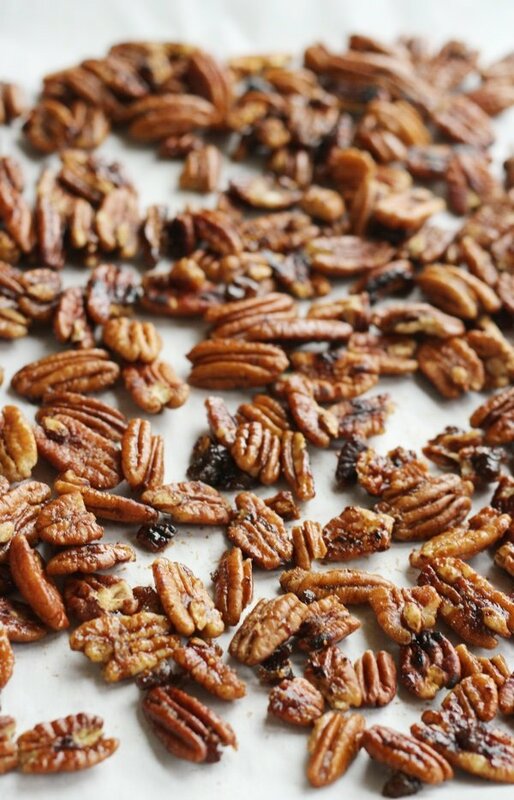 I wish we had stayed home and made these sweet and savory pecans instead. 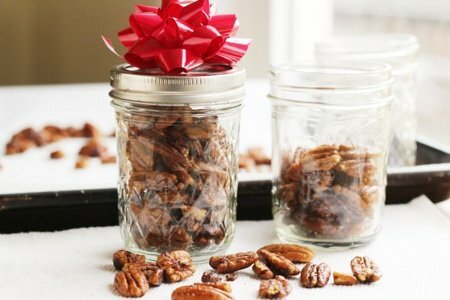 Like my Roasted Walnuts Recipes and cinnamon sugar walnuts recipe, this is a snack for making and then giving away as a holiday gift. This is for all those people that you don't know what to get - teachers, bus drivers, postal employees, and crossing guards come to mind. What I love about this is that it is FAST. You mix the spices, toast the nuts, mix them together, and let the nuts cool and you are done – one bowl, one pan, and the whole thing is over before you know it. You need to be very careful when you toast the pecans because they will burn easily. I stir mine the entire time they are being heated and take them off as soon as they are ready. Be sure to separate the pecans when you put them on the parchment paper. This makes them cool faster and easier to pack in a gift jar or bag. I included a weird ingredient that most of you may not have – dried orange peel. You will find it in the spice section and it costs about $5.50. I bought it for this recipe and now I don’t know what else I am going to do with it. What do you make to give away? Please share. Line a rimmed baking sheet with parchment paper and set aside. Mix salt, cumin, cinnamon, orange peel (if you have it), cayenne pepper, and sugar in a small bowl. Heat nuts in a cast iron skillet over medium heat until starting to smell toasted. 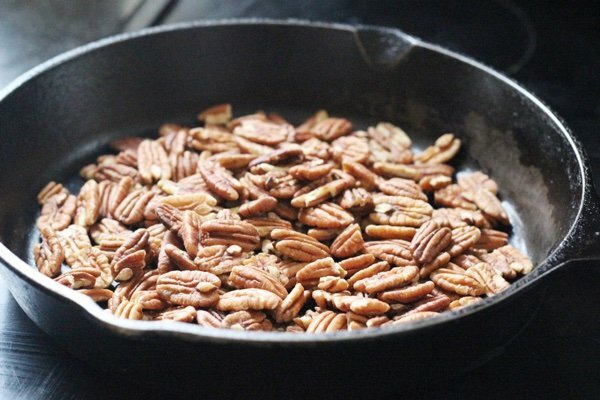 Be sure to stir often as pecans burn easily. Add butter and stir until melted. Add spice mixture and water and take off of heat. Coat the pecans in the spice mixture. Pour nuts onto parchment paper and allow to cool. Separate them to make it easy to put in tightly sealed bags or containers. Can be stored a room temperature for 3 weeks. You can use them in anything! Muffins, pies, your cereal bar recipes...anywhere you want a little zip. Ooooh! Thanks for a great office gift idea! Dried ground orange peel is AMAZING in cakes. Much better than orange extract. I also have sprinkled it on sautéed veggies -- go lightly! -- and that adds yummy. I make my own granola & add the orange peel to that. Delicious. I like dried orange peel on baked sweet potato. If I don't have a cast iron skillet, which is better - a regular (nonstick) frying pan? Or, could I do this with a stoneware (pampered chef) pan in the oven? @Maria -I would go with the nonstick frying pan. You need to keep an eye on these and the oven makes it harder. Thanks for your question! Thank you! 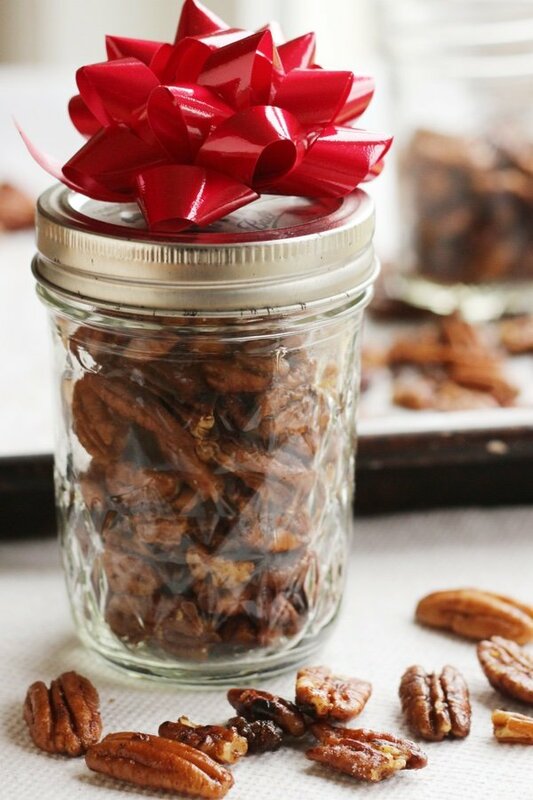 Have some leftover pecans from a Thanksgiving recipe - gonna try this! In the late fall Sweetie oranges are available. They have minimal pith and peel easily. I just chop the peel and leave it on a plate to dry naturally. Dried orange peel is good in mulling beverage recipes too, punch, etc. This is a great idea for co-workers! And I am going to try Marie F's idea for making my own dried orange peel. I'm not sure I understand- do the pecans stay in the pan when you melt the butter and add spices, or do you take them off to coat? @Diana - keep the pecans in the pan and melt the butter and add spices. Coat with mixture and take off of heat. Then spread in pan to cool. Thanks for your question! Let me know how it goes. Have you ever doubled this? How long will these keep? If made now will they be good at Christmas? You have enlivened such a large number of Health web journals! Continue doing the Health Tips and Live a Little Longer. @Diana - YES! Doubling works well here - just keep stirring. @Heather - I don't really see how these could go bad unless they are kept somewhere hot - like over 80 degrees. I think you can make them now and store them in a tightly sealed container and they would be good for XMAS. I keep my pecans in the freezer, always, so they stay fresh. I'm sure you could freeze them after you cook/candy them, as well, if you wanted to make them now & give later at Christmas.